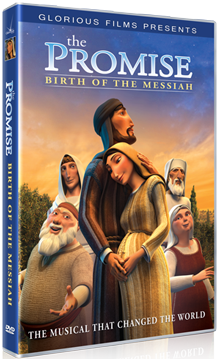 When the long awaited Messiah is finally born he is born in the most humble and obscure of circumstances. This is the thirteenth post in the series The Musical That Changed the World. The birth of Jesus Christ is perhaps one of the greatest ironies in human history. It’s so remarkable that it defines a mythological type of the promised child who comes in humility but grows to be a savior of a people. It wasn’t the first. The births and childhoods of Isaac, Moses, Samuel, Samson, David and others were similiar, yet they pointed forward to this birth of the promised Messiah. This child, born to Mary in a stable, would be a phenominal figure just from what was told of him in the Old Testament. He would fulfill the covenants God made with Abraham, Moses and David. He would bring in the promised New Covenant. He would save his people from their enemies, free the captives, feed the hungry and heal the wounded. He would conquer sin and death. And he would establish an eternal kingdom when he would take the throne of David. That’s quite a resume’. Yet nothing about his birth traded on the currency of his true nature. He’s born to a peasant, teenage girl in a smelly stable located in an impoverished, low class city whose economy was fueled by raising sheep for wool, food and the Temple sacrificial machine. There were no attendants, no satin sheets, no wine poured in celebration, no announcements sent or trumpets sounded. Few knew of his birth. The King of the Ages was born, and no one cared. But on this night of the birth of God’s Son the heavens would not remain silent. Read the previous post The Mercy of God and the Light of the Savior. 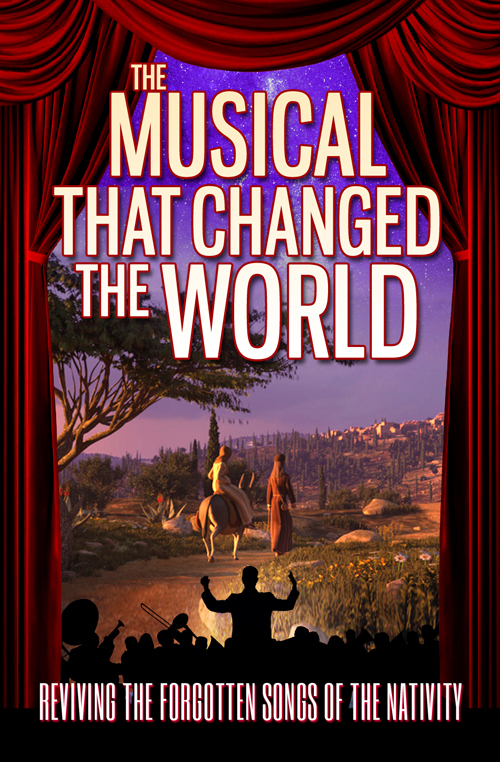 See the full index of this series The Musical That Changed the World. The most anticipated and longed-for moment in Israel’s history, the coming of the Messiah, unfolds in the most unexpected circumstances of obscurity and humility, while the nation and the world remain silent at his birth. But the heavens do not remain silent. As we are going through quite a lengthy blog series looking at the four songs of the nativity story, we’ve created this page for easy reference. It’s our heart that this series will encourage many to look at these songs deeper and discover they are gazing at a beautiful portrait of the person and work of Jesus Christ, our merciful Warrior King who came to save. I would encourage church leaders to teach these songs to their flocks, and parents to teach them to their children. May we recover these songs that should dominate our Christmas season if we seek to make Christ the center. Video: Why is The Promise a Musical? 2. How Do Our Christmas Carols Stack Up Against the Songs of the Nativity? 4. What’s Behind Mary’s Magnificent Song of Joy? 8. What Then Will This Child Be? 13. Great Expectations Yet a Humble Birth. 14. Good News of Great Joy. 15. The Savior, Christ the Lord. These are the books I used in my research for both the script for “The Promise” and this blog series. Bloomberg, Craig L., Jesus and the Gospels: An Introduction and Survey, Second Edition, B&H Academic, 2009. Bock, Darrell L., Luke 1:1-9:50 (Baker Exegetical Commentary on the New Testament), Baker Academic, 1994. Calvin, John, Commentary on The Harmony of the Evangelists, Matthew, Mark, and Luke, Calvin Translation Society, Digital Edition by Olive Tree. Carson, D. A., and Beale, G. K., Commentary on The New Testament Use of the Old Testament, Baker Academic, 2007. Carson, D. A., Gaebelein, Frank E., and Douglas, J. D. Matthew, Vol. 1 (Ch. 1-12), The Expositor’s Bible Commentary, Zondervan, 1995. Carson, D. A., and Moo, Douglas J., An Introduction to the New Testament, Zondervan, 2005. MacArthur, John, Luke 1-5: MacArthur New Testament Commentary, Moody Publishers, 2009. MacArthur, John, The Miracle of Christmas, Zondervan, 1993. The Savior comes as a heartfelt move of God’s mercy to illumine the darkness and guide many captives out and to peace with God. This is the twelfth post in the series The Musical That Changed The World. Have you ever wondered why God would offer a salvation in the forgiveness of sins to mankind? We not only rebel against his decrees and design, we are indifferent to him, ignore him, blame him, curse him, demand entitlements, and deny his existence. What would move God to make such an offer in the face of so much offense? One of the most astounding attributes of God is his tender mercy. This mercy is a theme that repeats itself through the nativity story. It was present in Mary’s song of joy (verse 50) and it is woven into Zechariah’s song twice. Within the pantheon of gods what other gods are known for tender mercy? None. In fact, many look at the God of the Old Testament and believe him to be unmerciful compared to Jesus. Yet here, in the first century, before the arrival of Jesus, both Mary and Zechariah rejoice in the tender mercy of this “Old Testament” God. His visit to mankind through this Messiah, this Warrior King of Salvation, is the greatest display of his mercy toward us. How does his tender mercy unfold? like rain that makes grass to sprout from the earth. Darkness refers to those who are oppressed, who are locked up in ignorance, who lack righteousness, who are unjust, and who are in need of forgiveness and deliverance. These things frame the context of numerous messianic promises. This light pierces the darkness where mankind sits. We know we’re all there because they sit in the shadow of death. All mankind is under the curse of death, and therefore we need the rising light to guide us away from the curse of death to the way of peace. That’s peace with God. Again, these are messianic images that we find in the Old Testament. It’s through this Messiah, Jesus Christ, that we can have peace with God. [5:1] Therefore, since we have been justified by faith, we have peace with God through our Lord Jesus Christ. Only Christ can reveal the path that will lead to peace with God. If we don’t walk in his light and follow his guiding we will remain in darkness. Zechariah closes by casting salvation in terms of finding peace with God. This is the epic mission that Zechariah’s son is to be a significant part of. Zechariah’s rejoicing is fitting, and it’s a rejoicing that we should join. Read the previous post The Preparation of Salvation. This is the eleventh post in the series The Musical That Changed The World. 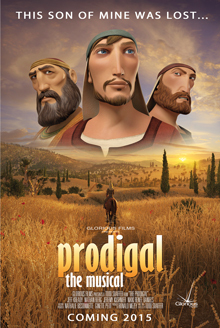 As Zechariah answers the question of his friends and neighbors, “What will this child be?” he declares that his son will be a unique prophet, the forerunner of the Messiah. His mandate will be to prepare a people for his coming. The nation who anxiously awaited their Messiah were unprepared for his coming. The prophet Malachi, 450 years ago, warned the nation that the Messiah’s coming will not necessarily be a pleasant experience unless they changed. But nothing changed, in fact, the people grew worse. 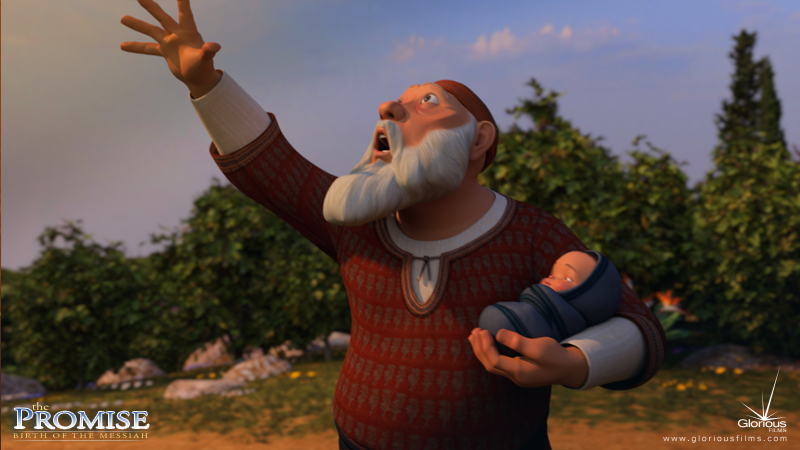 What did John need to do to prepare them for the coming Messiah? John was to prepare the people by giving them a knowledge of salvation in the forgiveness of sins. This is exactly what John did, as Luke later tells us. And he [John] went into all the region around the Jordan, proclaiming a baptism of repentance for the forgiveness of sins. This New Covenant is what Jesus tells his disciples is the heart of their mission as the church. Then he said to them, “These are my words that I spoke to you while I was still with you, that everything written about me in the Law of Moses and the Prophets and the Psalms must be fulfilled.” Then he opened their minds to understand the Scriptures, and said to them, “Thus it is written, that the Christ should suffer and on the third day rise from the dead, and that repentance and forgiveness of sins should be proclaimed in his name to all nations, beginning from Jerusalem. You are witnesses of these things. Paul preached this New Covenant message to the Gentiles. Even though the nation Israel was occupied by Rome, the preparation most necessary for the people is the same preparation all humanity needs before a holy God — and that is salvation through the forgiveness of sin. The Bible knows no other kind of salvation. Though under the old covenants this was foreshadowed in a variety of ways, under the New Covenant it is now clearly explained. We don’t like to talk about sin, but without dealing with sin, and the forgiveness that is necessary, we will never experience God’s salvation. And Zechariah’s epic song in the nativity story lays this out clearly even before the Savior was born. Zechariah’s son is to be a prophet of the Most High who is tasked with an assignment that is both wondrous and tragic. Zechariah’s song is an answer to the question raised by his neighbors and friends: “what will his son be?” Yet, only two verses in this entire song are devoted specifically to this infant boy. Did Zechariah short-change his son? Not at all. The reason is that Zechariah’s son will play a key role in the much larger movement of God in his epic plan of redemption. Zechariah turns his attention to John’s prophetic purpose, that he is to “go before the Lord to prepare his ways.” We call this a “forerunner.” A forerunner was someone sent to a city before a dignitary would arrive and make sure the arrangements necessary for his visit are in order. But the unusual thing about John’s preparation is that the Messiah wasn’t coming to visit some strange location. He was coming to his own people, and they were eagerly awaiting his arrival. But they weren’t ready for him. They needed to be prepared. Malachi warned Israel of their dire spiritual condition 450 years earlier which would make the Messiah’s coming a less than pleasant experience. The nation of Israel would not be able to endure the Messiah’s visit, and it’s only hope rested in the preparation that Zechariah’s son, the New Covenant prophet, would bring. And we will see what that preparation is in the next verses. The coming of the “horn of salvation” is both an act of mercy and an act of war. This is the ninth post in the series The Musical That Changed The World. Zechariah’s song is a ballad of war and redemption. It’s an epic poem that announces the coming of a warrior king of salvation, a “horn of salvation,” who will redeem his people from their captors. We don’t think too much about covenant today because we attribute it to an “Old Testament” era. But nothing could be further from the truth. The grand sweep of the covenants that the warrior king, Jesus Christ, fulfills has a direct impact on us, and Zechariah’s song helps us to see this. The previous verses tell us that this Messiah fulfills God’s covenant with King David. In this section the Davidic covenant overlaps with God’s covenant with Abraham, which was made before the Hebrew people were even a single offspring, much less a nation. Zechariah tells us that these covenants were merciful promises entered into by a God who keeps his covenant promises. These covenants made the promise that God will deliver his people from their enemies. He is their champion of salvation. The spiritual significance is that God’s people will be delivered from the captivity of sin and death, as Paul explains in Romans chapters 5 and 6. Not only are God’s people delivered from something, they are delivered to something, and that something is “that we might serve him without fear in holiness and righteousness before him all our days.” This points us back to the exodus. God delivered his people from the enslavement of the Egyptians, not just to free them, but to enable them to worship and serve God without any fear of oppression or ridicule. The concept of being saved by God to serve him is lost on our society today. When people talk about salvation they often talk about being saved from missing our potential, and saved to a life of “fulfillment,” in leisure, pleasure, or success in some human arena. None of this is part of the New or old covenant promises. Zechariah clearly lays out that God’s people are saved to serve him by pursuing a life of holy and righteous living. This is the big overarching goal of the lives of God’s people. Have you ever thought about Christ being a warrior king of salvation, who has come to wage war against the enemies of his people, to deliver them to a life where they can serve him without fear, living lives of holiness and righteousness? Just as he was deliverer of the Hebrews in Exodus, he is a deliverer of people today. And we will see more about that in the next verses.